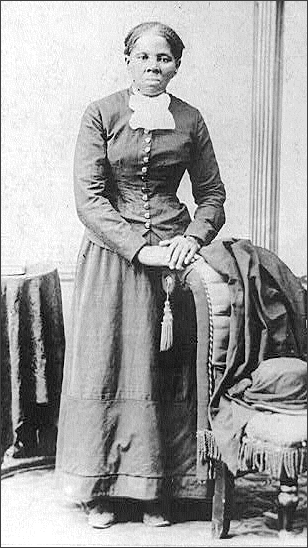 Harriet Tubman was born Araminta "Minty" Ross to slave parents, Harriet ("Rit") Green and Ben Ross. Rit was owned by Mary Pattison Brodess (and later her son Edward), while Ben was legally owned by Mary's second husband, Anthony Thompson, who ran a large plantation near Blackwater River in Madison, Maryland. As with many slaves in the United States, neither the exact year nor place of her birth was recorded, and historians differ as to the best estimate. Kate Larson records the year 1822, based on a midwife payment and several other historical documents while Jean Humez says "the best current evidence suggests that Tubman was born in 1820, but it might have been a year or two later." Catherine Clinton notes that Tubman herself reported the year of her birth as 1825, while her death certificate lists 1815 and her gravestone lists 1820. In her Civil War widow's pension record, Tubman claimed she was born in 1820, 1822, and 1825, an indication, perhaps, that she had only a general idea of when she was born. Modesty, Tubman's maternal grandmother, arrived in the US on a slave ship from Africa; no information is available about her other ancestors. As a child, Tubman was told that she was of Ashanti lineage (from what is now Ghana), though no evidence exists to confirm or deny this assertion. Her mother Rit (who may have been the child of a white man) was a cook for the Brodess family. Her father Ben was a skilled woodsman who managed the timber work on the plantation. They married around 1808, and according to court records, they had nine children together: Linah, born in 1808, Mariah Ritty in 1811, Soph in 1813, Robert in 1816, Minty (Harriet) in 1822, Ben in 1823, Rachel in 1825, Henry in 1830, and Moses in 1832. Rit struggled to keep their family together as slavery tried to tear it apart. Edward Brodess sold three of her daughters (Linah, Mariah Ritty, and Soph), separating them from the family forever. When a trader from Georgia approached Brodess about buying Rit's youngest son Moses, she hid him for a month, aided by other slaves and free blacks in the community. At one point she even confronted her owner about the sale. Finally, Brodess and "the Georgia man" came toward the slave quarters to seize the child, where Rit told them: "You are after my son; but the first man that comes into my house, I will split his head open." Brodess backed away and abandoned the sale. Tubman's biographers agree that tales of this event in the family's history influenced her belief in the possibilities of resistance. Araminta Ross [Harriet Tubman] was born into slavery in 1819 or 1820, in Dorchester County, Maryland. Given the names of her two parents, both held in slavery, she was of purely African ancestry. She was raised under harsh conditions, andsubjected to whippings even as a small child. She slept as close to the fire as possible on cold nights and sometimes stuck her toes into the smoldering ashes to avoid frostbite. Cornmeal was her main source of nutrition and occasionally meat of some kind as her family had the privilege to hunt and fish. Most of her early childhood was spent with her grandmother who was too old for slave labor. At age six, Araminta was old enough to be considered able to work. She did not work in the fields though. Edward Brodas, her master, lent her to a couple who first put her to work weaving she was beaten frequently. When she slacked off at this job the couple gave her the duty of checking muskrat traps. Araminta caught the measles while doing this work. The couple thought she was incompetent and took her back to Brodas. When she got well, she was taken in by a woman as a housekeeper and baby-sitter. Araminta was whipped during the work here and was sent back to Brodas after eating one of the woman's sugar cubes. As was the custom on all plantations, when she turned eleven, she started wearing a bright cotton bandana around her head indicating she was no longer a child. She was also no longer known by her "basket name", Araminta. Now she would be called Harriet, after her mother. At the age of 12 Harriet Ross was seriously injured by a blow to the head, inflicted by a white overseer for refusing to assist in tying up a man who had attempted escape. Tubman, Harriet Ross (1822-1913). Born into slavery on the Eastern Shore of Maryland, Tubman gained international acclaim as an Underground Railroad operator, abolitionist, Civil War spy and nurse, suffragist, and humanitarian. After escaping from enslavement in 1849, Tubman dedicated herself to fighting for freedom, equality, and justice for the remainder of her long life, earning her the biblical name "Moses" and a place among the nation's most famous historical figures. Originally named Araminta, or "Minty," Harriet Tubman was born in early 1822 on the plantation of Anthony Thompson, south of Madison in Dorchester County, Maryland. Tubman was the fifth of nine children of Harriet "Rit" Green and Benjamin Ross, both slaves. Edward Brodess, the stepson of Anthony Thompson, claimed ownership of Rit and her children through his mother Mary Pattison Brodess Thompson. Ben Ross, the slave of Anthony Thompson, was a timber inspector who supervised and managed a vast timbering operation on Thompson's land. The Ross's relatively stable family life on Thompson's plantation came to abrupt end sometime in late 1823 or early 1824 when Edward Brodess took Rit and her then five children, including Tubman, to his own farm in Bucktown, a small agricultural village ten miles to the east. Brodess often hired Tubman out to temporary masters, some who were cruel and negligent, while selling other members of her family illegally to out of state buyers, permanently fracturing her family.